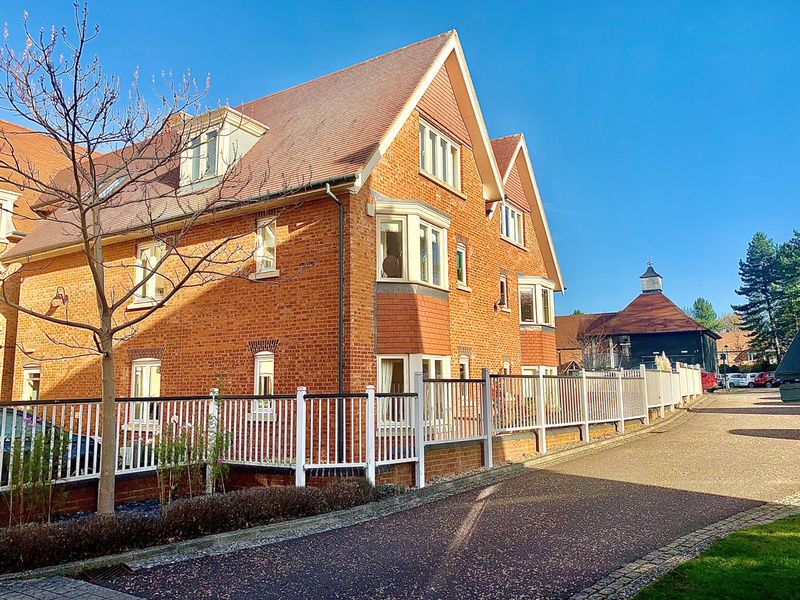 Situated on the ground floor, this light and airy one-bedroom apartment comprises an entrance hall, living room with bay window, kitchen and bedroom with en-suite shower facilities. the apartment is situated in the main building and is close to all amenities. Double glazed window. Range of fully-fitted wall and base units with under cupboard lighting, stainless steel sink and drainer, integrated fridge with freezer compartment. Spotlights to ceiling. Radiator. Double glazed window. Radiator. TV and satellite point*. Doors to en-suite shower room. Wet room-style shower with glass screen, white suite comprising low level WC and wash hand basin set within a fully fitted vanity unit with Corian shelf, fitted wall mirror with spotlights over. Towel rail. Laid lawns with well stocked flower borders maintained by the Village gardeners. * Satellite subscription not included. Properties are sold with an original lease of 125 years and this apartment has 115 years remaining. Important Notice: These particulars are intended to give a fair and substantially correct overall description. All dimensions are approximate. The properties are sold unfurnished. Other fees and charges will apply, please contact the Village Advisers for further details.